Personally, I’m a big believer of one having medical insurance. Probably, it is the most important product that one should have regardless of our financial status, unless of course … you intend to pay hospital bills with your own money. But lately, cases of one receiving either a ‘conditional acceptance’ or ‘rejection’ from life insurers are increasingly common in Malaysia. This could be due to an increase in health issues arising from multiple unhealthy lifestyle habits among Malaysians. 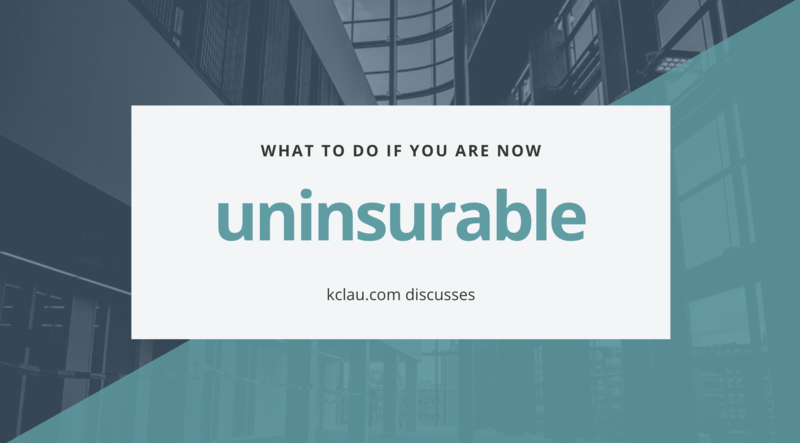 – Do you really NEED a Medical Insurance? – How to IMPROVE your chances of receiving an ‘Approval’ by life insurers? – OPTIONS available to you If your case is REJECTED by life insurers? – Insurance BENEFITS that your employers are offering to you today. – DIFFERENCES between Personal Insurance & Corporate Insurance Policies. 2 replies to "What are Your Options for Medical & Life Insurance Coverage if you are ‘Uninsurable’?" Being a paid PWM member, you can access the webinar recording and notes we put up. The video is put up usually 2-5 days after the live session. The notes will be 2-3 weeks after the is up. As for the past webinars, you can do a search using the “search box”, or browse through the archive.